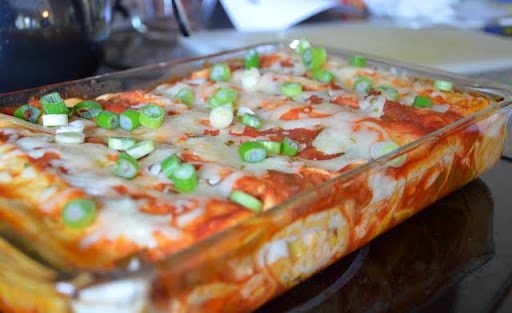 The enchilada theme continued in our house several weeks back with these enchiladas. My only change would be to maybe use a medium (versus mild) salsa to give them a little extra kick! Yours are so much prettier than mine! 🙂 I’m glad you liked them. Hi Cassie! Thanks for stopping by. I’ve found so many recipes I’ve wanted to try through your blog! Plus, I love the Buckeye love…we’re in the process of moving back to Ohio!